Doing Church is the first book that Alexander wrote. It is essentially about doing church, leadership and ministry from an Empowered Evangelical or Kingdom of God paradigm. After working with John Wimber in 1982 Alexander wrote this book to systematically lay out the Vineyard approach to doing church. 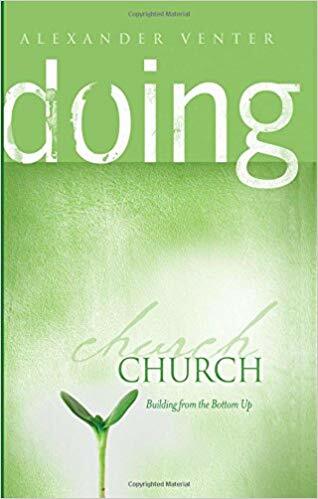 So this book is a step-by-step process on how to develop a clear, well thought through, philosophy of ministry – and how to develop a five year plan for church growth. The process includes chapters on how to develop mission and vision, clarifying core values, establishing basic priorities, implementing the practices, choosing the personnel, and coordinating the programs. It is very helpful for church planters, pastors, leaders of ministries and anyone who is interested in how we do – or ought to do – local church.